Students in the Vocal Performance major receive a solid grounding and experience in solo and ensemble music with texts in the major European languages. Supported by a community of faculty, staff, and colleagues, singers expand their horizons as scholar-artists through private lessons, weekly performance opportunities, master classes, and the study of ensemble literature. Courses in singing are designed to teach students how to perform healthfully, beautifully, and musically with their vocal instrument in the western musical art tradition. 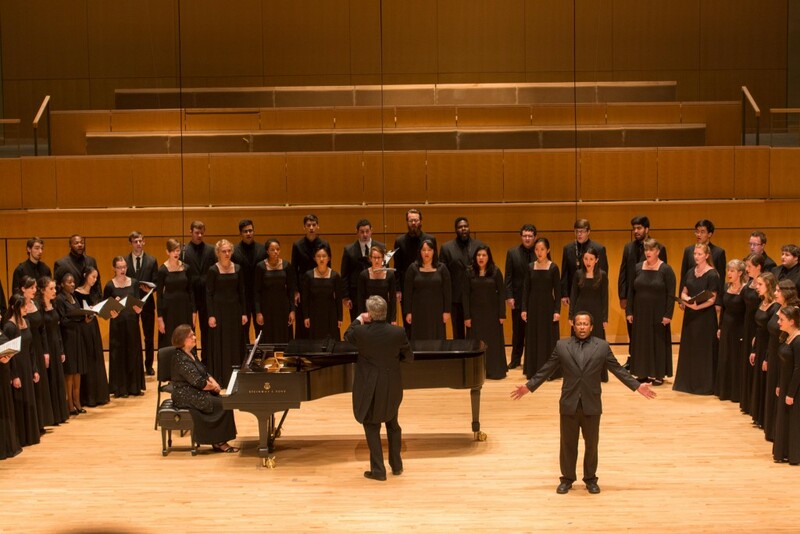 Throughout the semester singers in the Department perform numerous pieces from memory and in the style appropriate to the literature studied. Each component of the Vocal Performance curriculum aims to expose students to the many genres of sung art from the classical music tradition: folk song, Italian monody, British lute song, German lied, French mélodie, and opera aria, as well as solo excerpts from the operetta, oratorio, mass, and cantatas repertoire.